When looking for diagnostic cardiopulmonary medical equipment, you'll find great prices from MedFirstOnline.com. We carry brand names like Burdick, Midmark, Welch Allyn and more. Our Diagnostic Section carries a complete line of EKGs (ECG/Electrocardiographs), Pulmonary Function Testing (Spirometry), as well as Blood Pressure Units, Pulse Oximeters and many others. 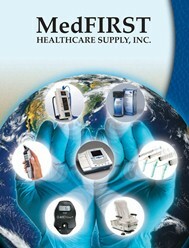 We are your source for all your diagnostic medical equipment needs. Shop now and save! Feel free to call 352.242.0110 for all your diagnostic questions.